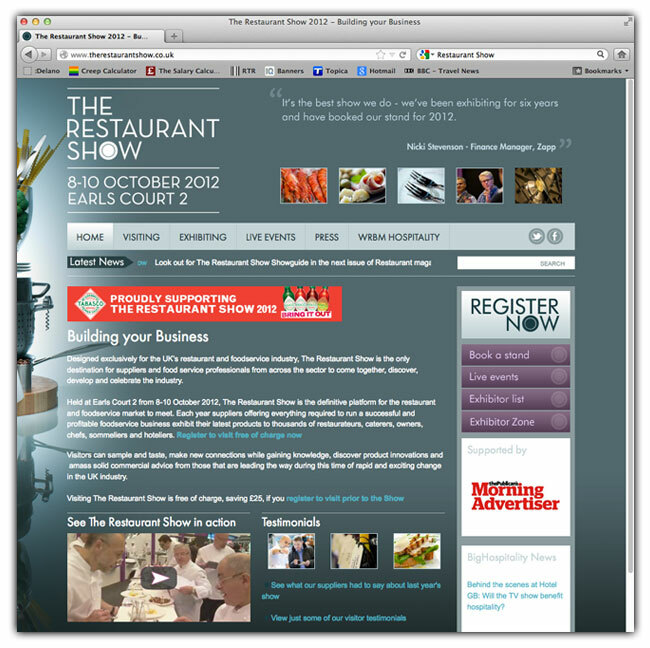 The forthcoming Restaurant Show (8 – 10 October 2012, Earl’s Court 2) will be the showcase for a new partnership, and for the integration that two hospitality software specialists have built between their EPoS and restaurant reservations solutions. TISSL and Restaurantdiary have created an interface they claim is “market-beating” in terms of data exchanged and reporting and intelligence generated. Each company will supply the new integration interface free of charge to any company purchasing its solution at the Restaurant Show. TISSL hospitality EPoS excels in fine dining, casual dining, fast food, pubs & bars, hotels and members clubs. Demanding chef-patrons such as Heston Blumenthal, Rick Stein, Jason Atherton and Alexis Gauthier use TISSL, and in Restaurant Magazine’s independent survey of 2,000 establishments, TISSL EPoS has been voted ‘Chef’s Choice’ for the past three years. Restaurantdiary is a web-based application, accessible from any browser or via the company’s BooktoEat.com consumer portal. Providing multi-user, real-time access, it gives restaurateurs complete control over every aspect of reservations. It supports client communications via email and SMS, and also collects detailed data which can be used improve service, table utilisation and operating profit. “Our integration tracks every stage of the customer ‘journey’. The data produced gives a complete trading snapshot and intelligence on each customer, which is invaluable for marketing and for personalising service. This also helps operators to improve table and yield management,” he observes. Integrated systems have been proven to generate extra covers in ‘outside’ periods, by enabling restaurants to take more late bookings. Not only is table utilisation increased but queues, walk-ins and bookings are managed more smoothly and wastage is minimised. Categories: Point of sale system, Point of sale systems, Restaurant News | Tags: EPoS, epos systems, food pubs, hospitality software, reservations solutions, restaurants | Permalink.